Here's the December edition of the .NET Foundation newsletter. Every month, we'll give you a quick overview of the .NET Open Source landscape, including top project news, events, community links and more. At the Microsoft Connect event earlier this month, we made two pretty big announcements. The first is open membership: we're expanding the .NET Foundation by inviting the entire open source community to take a more active role, to directly guide foundation operations and build the ecosystem. If you've contributed to a .NET Foundation open source project, you can apply to become a voting member today! We're expanding the board from three to seven members, with one single seat appointed by Microsoft and the remaining six elected by the community. Board elections will begin in January 2019, and any person who has contributed to a.NET Foundation open source project is eligible to run for the board and to vote. This new structure will help the .NET Foundation scale with the growing .NET open source ecosystem and allows our entire community to get a lot more involved. We're going to be posting more information about membership and board elections in early January - watch our blog and @dotnetfdn Twitter account for updates. We also announced that we're expanding our Technical Steering Group to a Corporate Sponsor Program. In addition to our current sponsors – Red Hat, JetBrains, Google, Unity, Microsoft, and Samsung, we are also welcoming Pivotal, Progress Telerik, and Insight. Our corporate sponsors will be contributing annual dues, which will both increase the funds available and diversify our funding (rather than relying solely on donations from Microsoft). Combined, the Open Membership and Corporate Sponsor Program set us up for a really exciting 2019! At the Microsoft Connect (along with the .NET Foundation announcements we called out above) there were some other big .NET product announcements. Here's some links to the highlights, or if you have some time you can watch the keynote videos here. .NET Core 2.2 was released, including diagnostic improvements to the runtime, support for ARM32 for Windows and Azure Active Directory for SQL Client. The biggest improvements in this release are in ASP.NET Core. .NET Core Preview 1 was announced. .NET Core 3 is a major update which adds support for building Windows desktop applications using Windows Presentation Foundation (WPF), Windows Forms, and Entity Framework 6 (EF6). ASP.NET Core 3 enables client-side development with Razor Components. EF Core 3 will have support for Azure Cosmos DB. It will also include support for C# 8 and .NET Standard 2.1 and much more! Whoa! Along with .NET Core 3.0 Preview 1's support for WPF and Windows Forms, Microsoft announced that WPF, Windows Forms, and Windows UI XAML Library (WinUI) are now open source! Cake version 0.31.0 has been released with new features including improved file globbing, Mono fall back for .NET executables on .NET Core, NuGet improvements and much more. Orleans 2.2.0 is primarily about bringing support for ACID cross-grain transactions to production-ready quality. This enables scalable distributed transactions, even across disparate non-transactional data stores. This release also includes a number of other improvements and fixes, but no breaking changes. It is backward compatible with 2.0. * releases, which allows for in-place upgrade of a running cluster. Version 3.12 of the NUnit Test adapter has been released. This release adds the ability to generate results in the NUnit3 XML format and includes a newer version of the NUnit engine. Thanks to Ori Ashual for contributions to the docs and Matti Petrelius, Alex (ahoisl), Phillip Carter, Tom PoLáKoSzm, and Oleksandr Liakhevych as well as our maintainers for improvements to the framework and tooling, and especially Mikkel Nylander Bundgaard and Ace Olszowka for their work on the NUnit Analyzers project! The .NET Foundation was founded in 2014 to foster .NET open source development and collaboration. We're thrilled to have been a part of some amazing growth and momentum since then! On the platform projects alone, 87% of the people who contribute to the .NET platform don’t work at Microsoft and have made over 61,000 code contributions. With this incredible growth, it’s time to take the .NET Foundation to the next level. I’m incredibly excited to announce that we are making some big changes to expand the .NET Foundation. As part of our ongoing commitment to open source, we're expanding the .NET Foundation by inviting the entire open source community to take a more active role, to directly guide foundation operations and build the ecosystem. We are also expanding our current technical steering group to a Corporate Sponsor program. In addition to our current sponsors – Red Hat, JetBrains, Google, Unity, Microsoft and Samsung, we are also welcoming Pivotal, Progress Telerik and Insight who are joining today. Welcome! These changes enable the .NET Foundation to be much more involved across a variety of activities like event sponsorships and speaker grants, outreach and evangelism, providing more technical support services, and expanding project onboarding and mentoring. There is tremendous open source potential in the huge, worldwide .NET developer base and we want to empower and activate it! Any individual contributor to a .NET Foundation project can apply to become a member. Contributions may include code contributions, documentation, or other significant project contribution. Upon approval, members will be notified with information on completing their membership. We’re requesting $100 annual dues, with liberal waivers for students or financial hardship. Each year, we’ll host an election for the board of directors. Any active member can campaign for a one year term, based on their community standing, plans to advance the .NET open source ecosystem, and past performance in case they are seeking reelection. Each .NET Foundation member can vote in the election. We plan to use ranked choice voting (specifically, single transferable vote), using OpaVote. We'll be running our first annual community elections starting in January 2019. Watch our blog and @dotnetfdn on Twitter for announcements on election dates. If you've contributed to a .NET Foundation project, I invite you to apply for membership today! We're expanding our current Technical Steering Group to a Corporate Sponsor Program, and announcing three new sponsors at launch: Pivotal, Progress Telerik, and Insight. Why change the TSG to a Corporate Sponsor Program? We recognize that many companies have significant business interests in the future growth and health of the .NET ecosystem, across a variety of business models - platforms, developer tools vendors, consultancies, as well as businesses in other verticals that depend on .NET to run their websites, line-of-business applications, infrastructure, etc. We've had repeated requests from businesses that don't directly fit into the TSG model to join the foundation and get involved. Creating a Corporate Sponsor Program with annual dues will allow the .NET Foundation to have much greater impact and make long-term investments in the .NET community. Read more about why Pivotal joined the .NET Foundation as a corporate sponsor here. I’m really happy that our launch partners represent different verticals and business models. .NET Foundation corporate sponsorship is for any company that sees business value in promoting the growth of a healthy .NET open source ecosystem! If your company would like to participate, please let us know by e-mailing contact@dotnetfoundation.org. I’m also pleased to announce that Beth Massi, Product Marketing Manager for the .NET Platform at Microsoft is being appointed to the Board of Directors. Beth was part of the original team that got the .NET Foundation started back in 2014, and has been helping out behind the scenes ever since then in countless ways: coordinating our messaging, serving as the .NET Foundation secretary, organizing events like .NET Conf, the list goes on an on. Beth has a real passion for open source .NET, as anyone who talks to her about 30 seconds will attest. She’s a team player, but not at all afraid to speak up when she disagrees. She brings so much into this role: all the context and history to understand the .NET Foundation’s mission and potential, a huge passion to push it further, and all the organizational and communication skills to make it happen. Read Beth's great story of the history of the .NET Foundation from her perspective: Building an Open Source .NET Foundation. I’m really proud of what the .NET Foundation’s been able to accomplish since it was founded in 2014, but when I think about what we’re announcing today I feel like we’re just getting started. I’m thrilled to be able to welcome you – yes, you! – to become an active member of the .NET Foundation, perhaps even run for a board seat, and help make 2019 our biggest year yet. Here's the November edition of the .NET Foundation newsletter. Every month, we'll give you a quick overview of the .NET Open Source landscape, including top project news, events, community links and more. Stay tuned for some big news at the Connect event! We've got some really exciting updates on the way for the .NET Foundation! Watch the Connect event keynote on December 4 for the announcement, and keep an eye on our @dotnetfdn Twitter handle and blog for the announcement post and details. We can't wait to tell you about it! This next year is going to be amazing! As recently announced, IdentityServer will be the default authentication and API security solution in ASP.NET Core. The integration will ship shortly after the ASP.NET Core 2.2 release. The basis for this integration is the new version 2.3 of IdentityServer that has been released last week. To ensure maximum compatibility with all versions of the .NET Framework, this release has been strong named, and for extra security, both the binaries and the Nuget packages are digitally signed. Besides many smaller improvements and bug fixes, the new version now support the so-called “Device Flow” which enables devices without a browser or limited input capabilities (e.g. gaming consoles, hardware devices) to securely connect to APIs. Training, Speaker, and Session info have been posted to the DNN Summit site. A 3.11.2 hotfix for the NUnit VSTest adapter is available, addressing duplicate categories in Test Explorer. NUnit Visual Studio Test Generator 2.1 was also released. It now generates an NUnit3TestAdapter package reference required by VS 15.9+. It's been a quieter month with several new features in progress. The contributions are greatly appreciated! On December 1st, we plan to stop supporting .NET Framework 2.0 in NUnit framework 3.12 and forward. Last-minute comments are welcome at https://github.com/nunit/nunit/issues/3070. This month, we announced that Json.NET, one of the most popular .NET projects in the solar system, has joined the .NET Foundation. 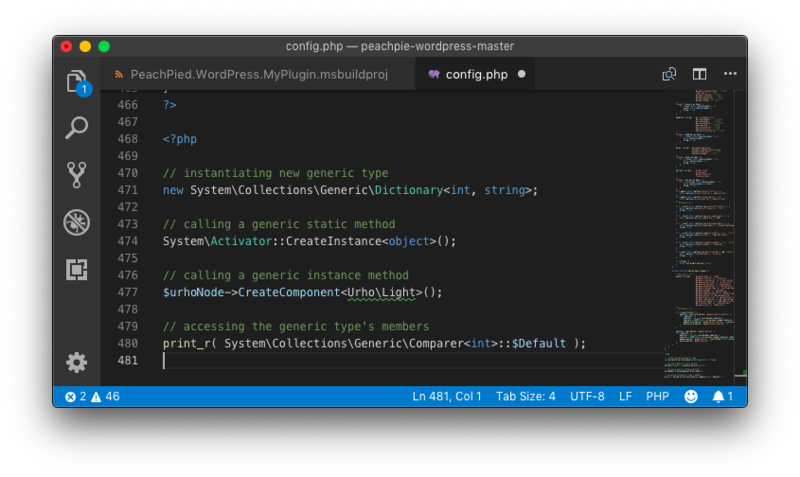 This post announces the new 12.0 release, as well as some new features that we helped support: code signing and SourceLink support. This release also includes a new feature, Value Converters, which allow you to define reusable mappers scoped to individual members. Check out Aaron's discussion of Akka.NET with Carl and Richard on the .NET Rocks podcast. This release is focused mainly on bug fixes that were affecting user experience. But don't worry, this release also has some new features too! This release includes support for .NET generics, custom attributes, and plenty of fixes. Want to learn how to take advantage of Steeltoe to help modernize your .NET applications? Check out this 90 page eBook from Richard Seroter! Today, I'm thrilled to welcome Json.NET to the .NET Foundation! Json.NET is a popular high-performance JSON framework for .NET. It's very well known to .NET developers - with over 164 million NuGet downloads, it's by far the most popular community NuGet package and a fundamental part of the .NET open source ecosystem. Supporting .NET open source projects like Json.NET is a core part of the .NET Foundation's mission. As part of bringing the Json.NET project onboard, we've been able to help support James and team with the Json.NET 12 release. A key example is getting the project set up with the .NET Foundation's code signing service and providing a code signing certificate. You can read more about the Json.NET 12 release on the project's release announcement post. Here's the October edition of the .NET Foundation newsletter. Every month, we'll give you a quick overview of the .NET Open Source landscape, including top project news, events, community links and more. NUnit framework 3.11.0 was released this month, including the features highlighted in last month's newsletter. NUnit VSTest adapter 3.11.0 was just released also! One of the fixes is that Mono.Cecil will no longer be overwritten in the test project, unblocking the testing of code that depends on Mono.Cecil. The NUnit team is considering dropping the .NET Framework 2.0 build of NUnit in the next release. We are eager to hear from anyone who may be affected—please join the discussion at https://github.com/nunit/nunit/issues/3070. Thank you! DNN Summit is coming up in February 2019 with Jon Galloway as the keynote speaker! The Windows Community Toolkit graduated to version 5.0. This update introduces the WindowsXamlHost control and wrapped UWP controls for WPF and Windows Forms, new TabView control for UWP, and Weibo .NET Standard service. Read more here. .NET Foundation Secretary Beth Massi and Executive Director Jon Galloway presented a keynote at Visual Studio Live! San Diego titled .NET Today and Tomorrow on October 9. Visual Studio Magazine did a great write-up of the keynote - take a look!